The SpiroNet antenna set is another excellent product from Immersion RC and Fatshark. 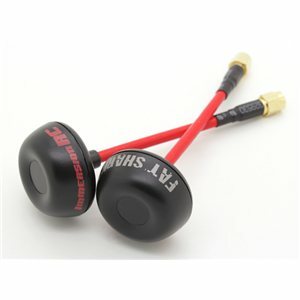 This antenna was desigend to work with all 5.8Ghz ImmersionRC and Fatshark products. These are the latest Version 2 antenna sets so both are now the same length and will work on either rx or tx . Unique design, not seen before in the FPV world. Far from the run of the mill 'basement production' seen to date. Precision manufactured with very tight tolerances ?and 100% tested on a professional antenna tester (Rhode & Schwartz) to ensure maximum range and performance. The custom radome is RF-transparent, and protects the antenna from the occasional crash, or that oops moment when flying. ?